The Bee's Mouth is a vibrant bar specialising in craft beers from around the world. They have live music weekly which is mainly Jazz. 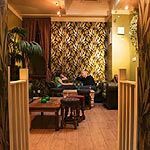 The bar also hosts a range of other kinds of entertainment and events including life drawing classes and open mic nights. Do you work at The Bees Mouth? What did you think of The Bees Mouth? Hipster paradise. I can't wait to see the staff and clientele of this place when they grow up and realise how ridiculous, vain and self-regarding they all are. Unfriendly. 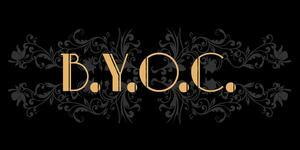 A really great venue for atmosphere, drinks and music. Be careful if you ever decide to take your instrument along to the Monday night "Jazz Forum" jam night. Although the landlord will tell you that anyone is welcome, the band do not share his opinion and they will only welcome you if you happen to be one of their two friends. I have played with all sorts of musicians over the years and these guys certainly fall into the following category: JAZZ SNOBS. One of my favourite pubs around the Hove/Brighton border. Very unusual yet interesting decor and an impressive selection of bottled beers. The music is usually spot on too. All too easy to lose many hours in there (speaking from experience). Would have given it five stars were it not for the pretty grim toilets and the staff which can be rather aloof & surly, and have a knack of short-changing. Best Bar in Brighton. We love it up The Bee's Bum! What a beutifully kooky place this is. Weird spinning head built into the corner of the bar. And a saxophone on the bar which dispenses Asahi. Nice cosy room in the back as well and the music played was not like other 'pubs'. Huge drinks selection. Nothing like what you find in most other bars. the band I watched were superb. This is my new favourite bar! Really rude staff. As soon as last orders came they put on an awful CD of traffic honking and babies crying. We had just got our last round in and couldn't sit to finish them as the noise was so awful. I appreciate that this is supposed to be funny, but after five minutes of this i went to ask them to turn it down, the bar staff told me with a smirk that the music was supposed to get us out, and they didn't care if i ever came back or not. Absolutely disgusting toilets as well and again were very rude when i informed them about it earlier in the evening. A Lovely and warm bar with friendly people and some fantastic live music. They also have loads of weird beers there which I appreciated as I'm sick of drinking Kronenburg. Definately one to visit. A bees mouth is complex to say the least - its jaws suspended from its head at the sides of its mouth. Thankfully, the owners of the Bees Mouth bar were thinking more about serving up drinks as sweet as nectar when it came to renaming the bar, rather than embarking on a bizarre campaign to recruit some of Brighton's strangest looking bar flies. 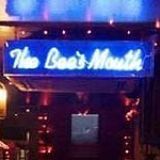 Normally a name change of a bar denotes a new owner however, this isn't the case of the Bees Mouth, formerly known as The Arthouse and renamed not (thankfully) as some weak pun on bees knees or as some kind of scientific statement, but as something to do with a bee’s mouth and nectar (…or something). It still retains its artiness and is a long, dark, narrow bar with paintings on the walls and a range of kooky paraphernalia. You go down some steps at the end and there’s a room at the back. Then you go down some more steps, and then some more, and you eventually reach a basement area which is used for a chill-out room and for live music nights. Thankfully, it's worth the effort. Live music fans and self confessed arty types mingle to talk about life is art and art is life and life is art...you get the picture. The bar’s friendly staff serve an offbeat selection of Fruli Strawberry Beer, Asahi, Hurlimans, Oranjeboom, Guinness, Brugs and Suffolk Cider from the pumps. There are lots of speciality bottled beers too and cocktails at £5.95, including house cocktails such as the appropriately named Clockwork Orange (Tuaca, lime and orange). Kooky and quirky, the venue itself is intoxicating and that's even before you start on the drinks. Unequivocally worth a visit.